The publisher sent me this book for reviewing. When I first moved to Maine I lived on an island where I experienced first hand the strength and power of the ocean. From being trapped on the island when the weather was too rough for the ferry to travel from the mainland to standing on the beach watching the pounding surf, I found that the ocean is always in motion from the wind and the pull of the tides. 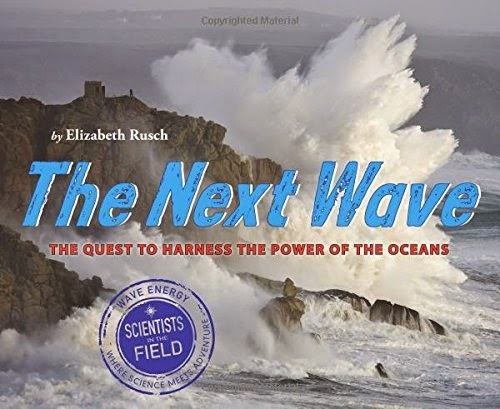 How to harness that energy to create electricity is the subject of Elizabeth Rusch’s new book, The Next Wave: the quest to harness the power of the oceans. A great deal of energy generated around the world is lost from resistance in wires when transported long distances. One of the benefits of ocean energy is that the electricity can be generated –and used—near where people live. Humans use a lot of electricity to power our homes and hobbies. Since most of the world’s population lives near an ocean, it makes sense to come up with a way to trap this type of renewable energy, thus allowing humanity to decrease our dependency on fossil fuels. Harnessing the oceans energy is not an easy task. Rusch takes us to the Pacific Northwest where we meet Professor Annette von Jouanne, her students, and her private company partners together work diligently to create a wave-energy device that floats on top of the water. Will it be able to withstand the punishing waves of the ocean in order to turn those waves into electricity? Just maybe, with the work of Ocean Power Technologies, utilizing this technology may happen sooner than we think. Cathy and I are fans of the Scientists in the Field series. The partnership between writer and photographer, as they work together to make the science accessible, relevant and interesting is one of the cornerstones of this award winning series. 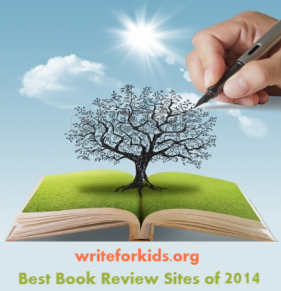 The books are well researched and the addition of sidebars offers in-depth explanations on key points from the text. Back matter includes a glossary, source notes, bibliography, often an author’s note, and an index. I especially enjoy how each title highlights a scientist whose life work is immersed in the unpredictable and dynamic natural world. 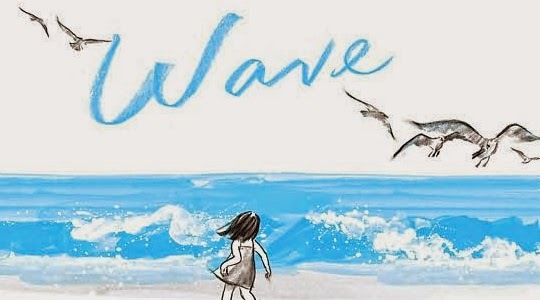 When introducing The Next Wave by Elizabeth Rusch to students, I suggest you first share the wordless picture book, Wave by Suzy Lee. The illustrations will highlight why you should never turn your back on the ocean.